Welcome! Thank you for visiting Grandview Labradors. We are located in the beautiful hills of South Central Kentucky between Green River Lake and Lake Cumberland. 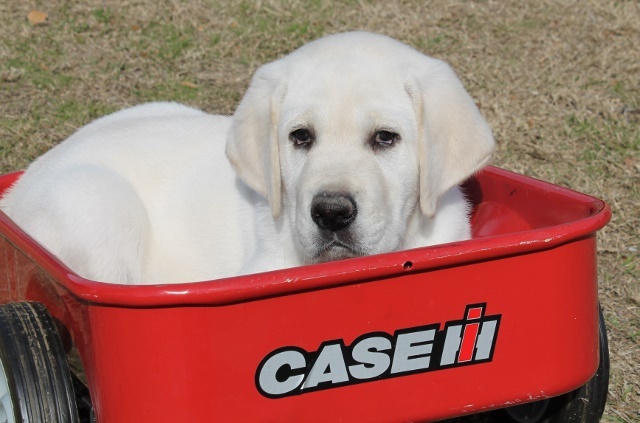 Grandview Labradors is dedicated to producing outstanding AKC Registered Labradors puppies. Here at Grandview Labradors, our puppies will be handled by us from birth to be well socialized with people. We strive to breed dogs that are smart and friendly, have calm dispositions, sound health, and great looks! We currently have puppies in the following states; Alabama, Connecticut, Florida, Georgia, Illinois, Indiana, Iowa, Kentucky, Maine, Michigan, Minnesota, Nevada, North Carolina, Ohio, Oklahoma, Pennsylvania, South Carolina, Tennessee, Texas, and Virginia. Please take the time to enjoy our website. Feel free to contact us with any questions by texting, calling, or emailing us. We currently have two litters and are expecting more within the month. Contact us today to be put on the waiting list.